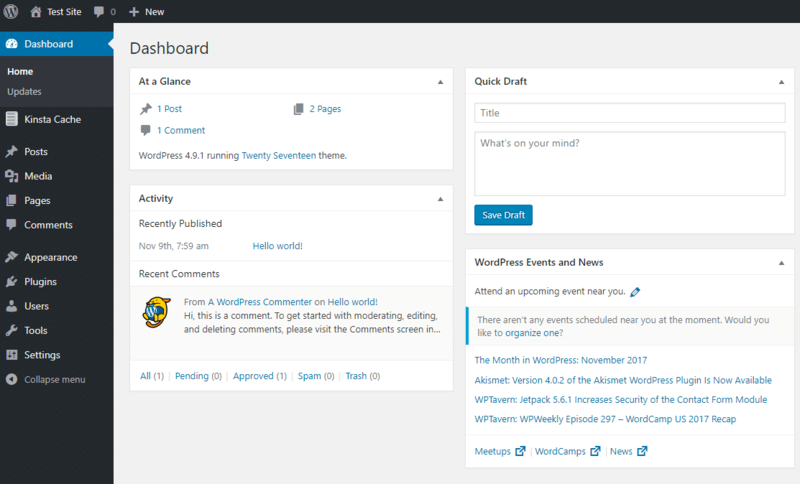 What Is the WordPress Admin Dashboard? The WordPress admin dashboard, often called WP Admin or WP admin panel, is essentially the control panel for your entire WordPress website. It’s where you create and manage content, add functionality in the form of plugins, change styling in the form of themes, and lots, lots more. 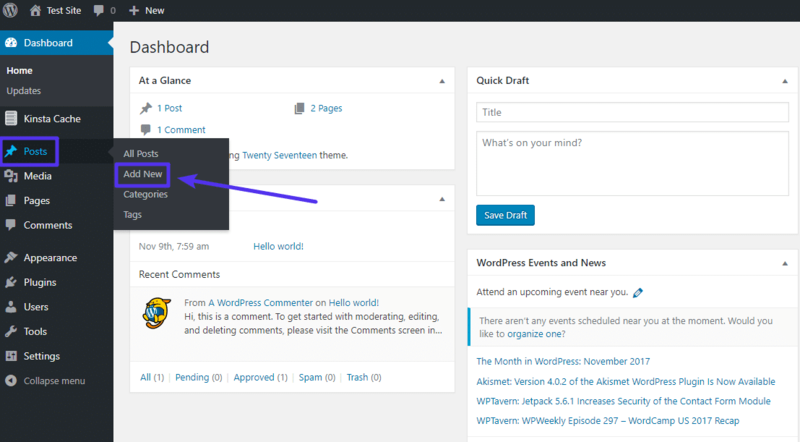 If you’re using WordPress, the WordPress admin panel is going to be a big part of your life. 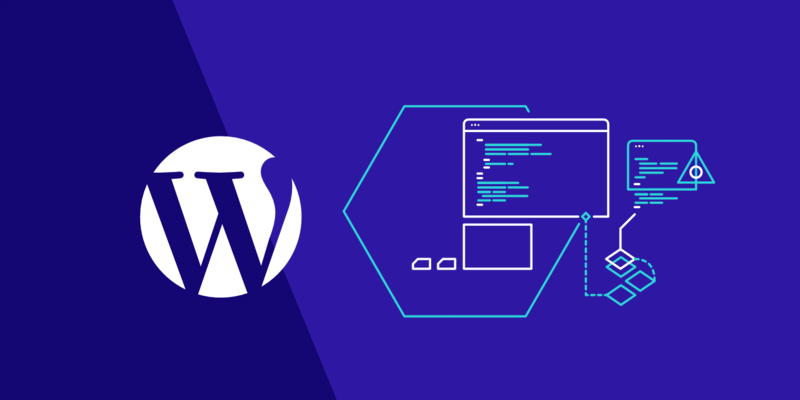 For that reason, it’s important to understand where to find the WordPress admin, what it lets you do, and how you can use it to manage your site. 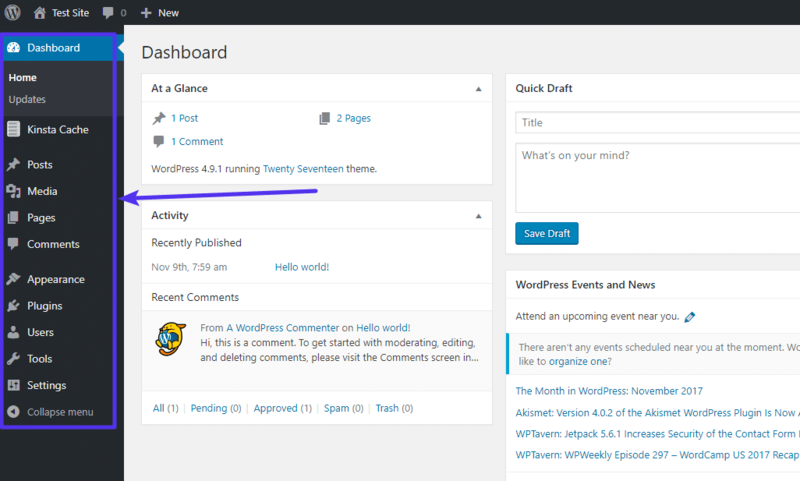 How Do You Access The WordPress Admin Dashboard? How Do You Log Into Your WordPress Admin Area? We do recommend changing the default login URL. Why? Because all of the bots, hackers, and scripts out there scan for this common URL. Changing it to something else can be a simple and very effective way to drastically decrease the number of bad login attempts to your website. You can make yourself less of a target, better protect yourself against brute force attacks, and decrease the bandwidth used by the bots that hit this URL repeatedly. This is not a fix all solution, it is simply one little trick that can harden your security. 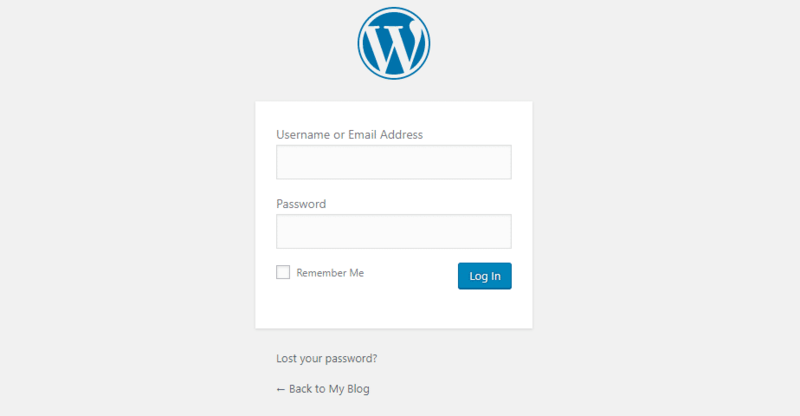 Check out our tutorial on how to change your WordPress login URL. Locked out of your WordPress admin dashboard? Here’s what to do. 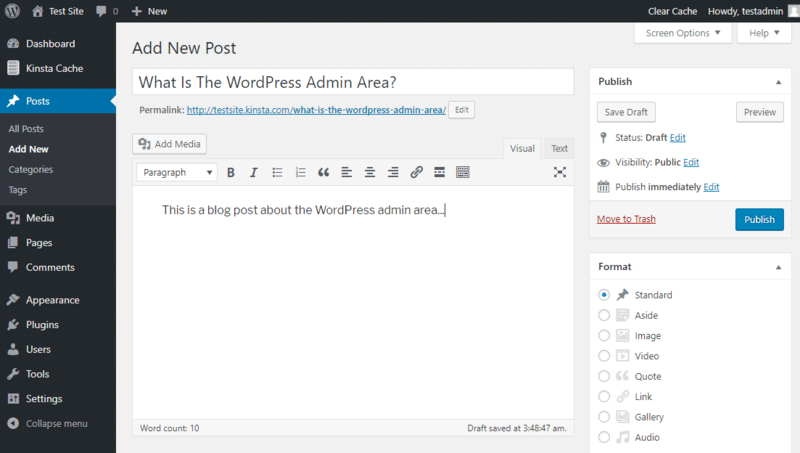 How Do You Use The WordPress Admin Area? But while the dashboard page is good for a quick overview, you’ll spend most of your time in other areas of the WordPress admin dashboard. For example, in the screenshot above you can see that we add a special menu item specifically for Kinsta Cache to help our customers automatically manage the server-level caching that we implement for them. Plugins, Settings, Users, Comments, And Lots More! By exploring the other menu and submenu items of the WordPress admin panel, you can control pretty much every aspect of your WordPress site, from settings to users, plugins, comments, and most everything else! Can You Change How The WordPress Admin Panels Looks And Functions? 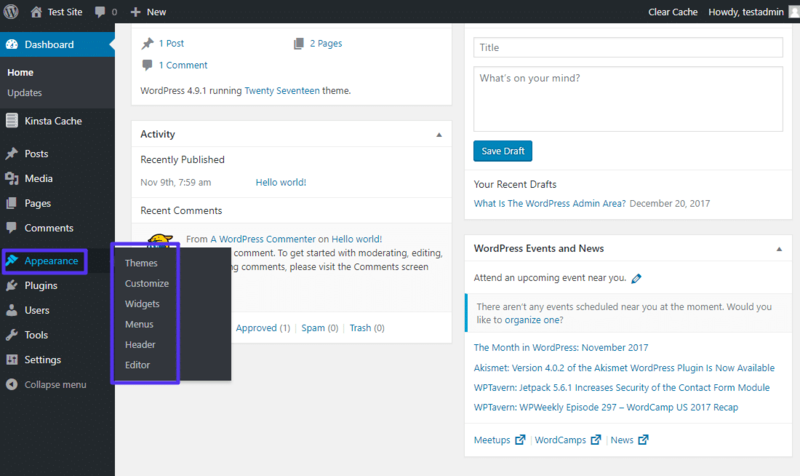 And you can also find WordPress plugins that let you use admin themes for more advanced style changes. The WordPress Toolbar, formerly known as the Admin Bar, is a small bar at the top of your screen that’s present both when viewing the live version of your website and when browsing the WordPress admin panel (assuming you’re logged in to WordPress). You can use the various menu options on the Toolbar to quickly perform actions, no matter where you are on your site. Can You Turn Off The WordPress Toolbar? Hiding or changing things in the admin menu. Organizing things via drag and drop. Hiding the WordPress toolbar, or hiding it only for non-admins. Branding the dashboard with your logo and colors. Creating entirely new custom menus. If you’re interested in playing around with the WordPress admin dashboard, OpenSourceCMS.com hosts a WordPress admin demo that gives you full access. And that wraps up our introduction to the WordPress admin dashboard.